With the Super Bowl over, the conversation now switches to the commercials. But, what if I told you that by focusing on just the commercials, you’re missing a big piece of the Super Bowl marketing blitz? For the weeks leading up to the big event, shoppers have been engaging with in-store marketing and displays by the same brands that paid for ad spots during the game. At the end of the day, the products that consumers put in their cart and purchase are what matters most, and their behavior in-store helps uncover which brands won over shoppers in-store before the Super Bowl. Leveraging our Videometrics approach, NAILBITER captured real shopper transactions in-store across a variety of categories to begin to uncover who won and who lost the Super Bowl. Which categories made best use of displays before the game? What brands were able to convert shoppers? Who missed out on a big opportunity? We used videos of real shopper behaviors and decisions to begin to unravel those questions. Who was the MVP of Super Bowl snacking? It’s not a party without some great salty snacks, and Frito-Lay made sure shoppers were reminded of that fact. Leveraging Tostitos as the hero brand, Frito-Lay was able to make a big impact with their Super Bowl displays in a variety of retailers. Not only were Tostitos the most-purchased brand in the videos we captured, but their presence on display had some additional benefits. Shoppers don’t just buy tortilla chips alone. 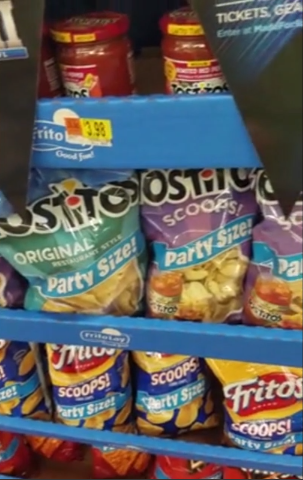 By showcasing Tostitos on the display, shoppers may also be encouraged to make incremental purchases. Those “plus-one” buys often could be salsas or dips to compliment the chips, and we did see some shoppers reminded of other Frito-Lays products that were also on display with Tostitos. One shopper, for example, purchased Fritos that were on display with Tostitos. In this case, perhaps the best role the Tostitos display could play is bringing shoppers into the category and introducing them to other products. Is there anything Tostitos could do differently? Well, they likely spent to secure the moniker “Official Tortilla Chip of the NFL” – but that sponsorship may not be paying off. In fact, we heard one shopper say that the sponsorship doesn’t mean anything, they just like the chips. Is it worth paying for the sponsorship if it doesn’t bring any additional benefit when the shopper is making their decision at-shelf? For all the other snack brands out there – you are missing out by not targeting Super Bowl shoppers with displays. Both Pringles and Planters had Super Bowl commercials, but we did not observe their products on display often – giving them a smaller share of notice. Salty snack buyers may expect these displays as they navigate the store, and once they find them, there’s a chance they’re making their entire purchase decision from the display without going into the aisle. If you aren’t on display, shoppers may not even be considering your brand. Click here to view some Super Bowl salty snack videos. Why wasn’t the salsa with the chips? With tortilla chips being such a winner of display, salsa and dip brands should reap some subsequent rewards. However, from what we saw on video, not all brands took advantage of this! Tostitos and Frito-Lay once again appeared to do a great job here. Their variety of salsas, quesos, and dips were on display along with their chips. Having both products displayed together made the shopping easier for consumers as they could get both their chips and their dips together without going into the aisle. Pace, on the other hand, may not have done enough with their display. On one end cap display, tortilla chips to accompany the salsa were not present. A shopper bought tortilla chips elsewhere, and had they not continued to the salsa aisle, Pace may not have even been considered. Additionally, there were only mild and medium heat varieties on the display. With the shopper wanting something spicier, Pace missed out on an easy chance to encourage incremental purchasing. 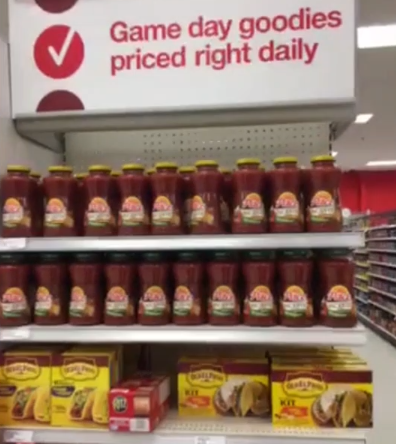 In order to maximize the effectiveness of your salsa and dip Super Bowl marketing, chips and dips should be displayed together as they are more often than not purchased together. Additionally, a variety of dip flavors and heat levels provide the shopper with the variety and assortment needed to encourage them to buy multiple units at a time. Click here to view some Super Bowl dip and salsa videos. Who can forget that Bubly ad with Michael Buble? 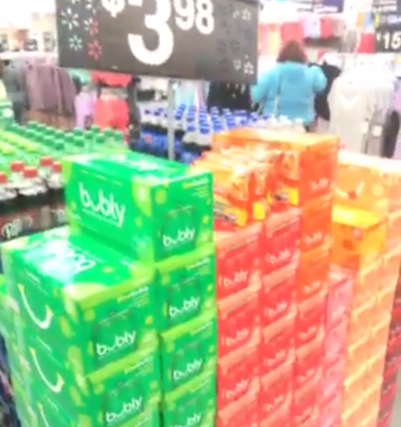 Unfortunately, shoppers may have forgotten all about Bubly when they were in-store shopping for their parties. With Bubly being a new brand, one shopper rejected the product because they had no idea what it was or who made it and didn’t want to risk buying a new beverage to serve to his guests and them not enjoying it. Putting the product on a display prior to the ad airing may have left shoppers without enough information to convert to a purchase. Dr Pepper, on the other hand, leveraged their staples and created a great football-themed display. By showcasing Dr Pepper, Diet Dr Pepper, and 7UP, Keurig Dr Pepper engaged shoppers right when they entered the store and converted them before they even considered other brands. Additionally, they offered an assortment of pack forms and sizes to appeal to shoppers with varying usage needs. Pack form and size is an important consideration, and it may be best to offer a wide variety. Some shoppers indicate a need for 2 Liter bottles as they cut down on the waste created by all of the cans and bottles. On the other hand, other shoppers like cans and bottles because they are more convenient and take up less space. Click here to watch some Super Bowl Soft Drink videos. Did you forget about the beer snob? Football and beer are an all-American combination, and the Super Bowl is a beer-lovers dream. Having a good selection of beer for guests is almost a must for any Super Bowl party host. Surprisingly, though, we did not observe behavior that made the beer buying experience anything special leading up to the game. Not only were beers not found on displays (aside from the standard pallet displays), but the merchandising also appeared to be pretty standard, with light beers shelved separate from craft beers. Corn syrup or not, shoppers have to find your product first and the non-use of displays was a missed opportunity. This may be a big miss for beer manufacturers. Based on the shopper behavior we observed, there are some strategies that may impact consumer decision-making at the shelf. 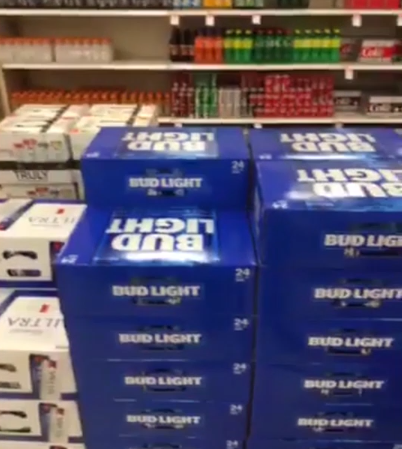 We saw that shoppers look for big brand beers, like Bud Light, Miller Lite, and others. At the same time, they also seek more ‘special’ or craft options to appease the ‘beer snobs’ at their party. Displays that intermingle these types of beers will make it easier for shoppers to fit both types of drinker and guide them to your brands instead of competitors. Similarly, shoppers also look for smaller pack sizes to allow them to serve a greater variety at their gathering. Rather than one, big 24-pack, shoppers may be interested in buying multiple 6-packs so their guests can find their preferred beer or try a variety of beers. Click here to view some Super Bowl beer videos. Where were all the candy and sweets? Ah, time for dessert. And Christina Applegate would agree – M&Ms own this space at the Super Bowl. In fact, they were the only brand that we observed being near Super Bowl displays. Every other brand may have been missing an opportunity. Candy and sweets are often purchased on impulse and displays leading up to the Super Bowl can be a reminder to buy dessert. As shoppers are buying the other pieces of their Super Bowl spread, like salty snacks and soft drinks, the simple reminder of a pack of candy or box of cookies may trigger an impulse buy. 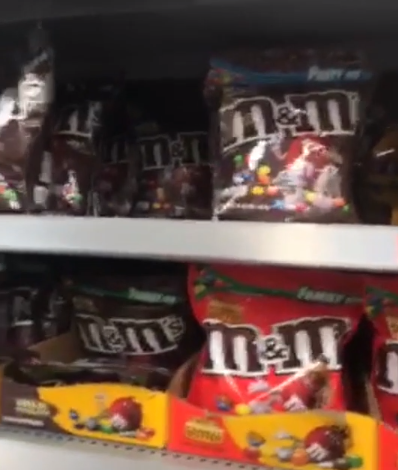 One shopper saw M&Ms on display with other Super Bowl categories and was delighted that everything she needed for her party was right there in one place. Constant communication and reminders may be needed to drive purchases of sweets and candy. Shoppers may consider these sweet treats as great for making the kids at their parties happy. Others may remember some conversation on social media and try something new at their party. We observed one shopper remember a Facebook post about The Most Stuf Oreos and decide to buy them. Click here to view some Super Bowl candy and sweets videos. NAILBITER is a global, quantitative videometrics platform that leverages consumer video, in-store and online, at the point of purchase to reveal new metrics for understanding brand and product performance. 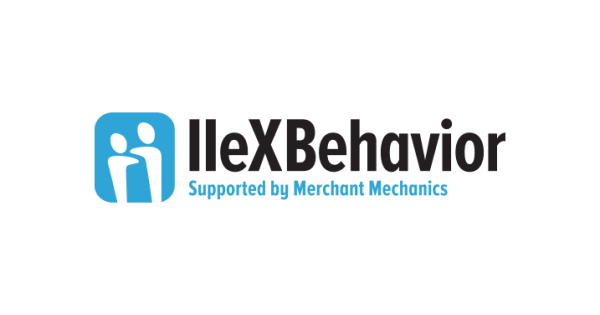 We are experts at protecting new product launches, fixing declining brand and product performance, optimizing in-store marketing effectiveness, and visualizing the omnichannel shopper journey. To learn more about NAILBITER, contact Gram Bowsher, Vice President of Client Service, at gram@nail-biter.com.